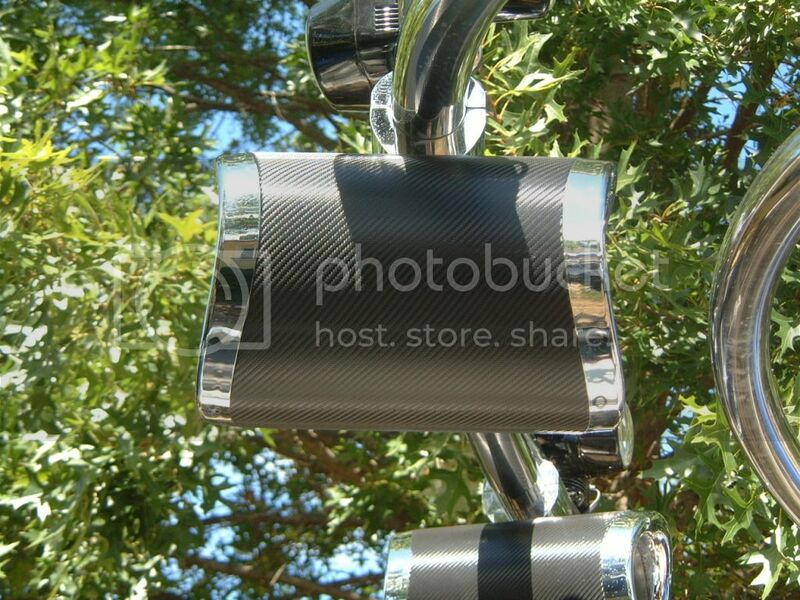 Hey guys Im just wondering if you guys have ever experienced pitting on your chrome or aluminium emblems and speakers and what did you guys use to clean it. Yes, and from what I hear it's a common problem - I've taken some to get powdercoated. Will keep working on this a little at a time. My experience with pitting chrome seems to suggest reasonable proximity to salt, wether it is salt water or salt air, even high calcium content or just plain old hard water. In only one case in inspecting to buy wakesetters did I see that high altitude exposure to the elements resulted in pitting. This is effectively acid etching. Powder coat is a great solution after the fact. To my knowledge nothing can repair the pits- chrome is a simple combination of a copper base, nickel intermediate and chrome finish. Personally I like to wax the hooyaa on everything, does it help? Probably not but I convince myself it does. Mother nature throws some wickedness at us, some waters have so much calcium that aggressive agents (another acid base) are needed to remove the "etching" water marks. 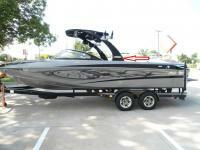 The Desert Storm race in Lake Havasu literally made a permanent etching in our 32' Cat that can still be seen today. Common problem. I think you can get Stainless replacements. If you ask me, they improperly prepared the parts for chrome dipping. My boat has never seen salt and still pitted quickly. I had new pieces sent to me under warranty, but even those are starting to pit a little. It's the base metal that's the issue. If it is aluminum based, the problem is worsened by galvanic action between the aluminum and the copper layer on top of it. Powder coating has its own set of issues, but basically everything boils down to surface preparation. 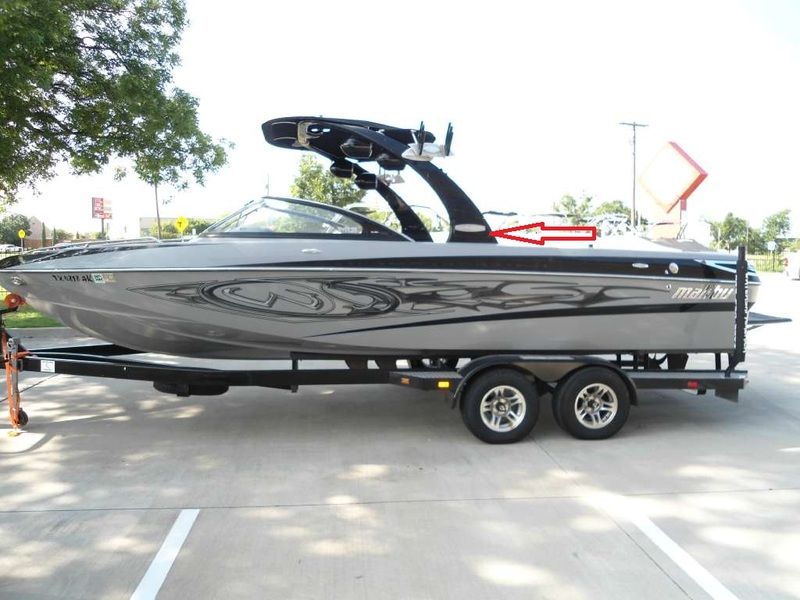 It's normal and I've been sworn to by both the dealers I bought my boats from that they never saw salt water. Small related hijack: anyone know how these emblems come off? Lower the tower and you'll see the bolts on the inside of the base.